Just because it's winter doesn't mean you have to neglect your golf game, especially if you want to improve your skills. So how can you keep your golf game sharp when there's snow on the ground? Here are some tips that will help you practice. When you're not on the fairway teeing off regularly, you can quickly lose strength in vital areas related to your golf skills. That's where regular exercise for strength and flexibility are key. In particular, a strong core and glutes are essential to hitting the ball farther and achieving an overall good golf score. Squats are a simple way to keep your core and glutes in shape. You can easily do them at home and don't need to belong to a gym. Plus, they're easy to do indoors, even with sub-zero temperatures outside. While many days during the winter are simply too cold to head outside, you shouldn't stay away from your local driving range entirely. Keep an eye on upcoming weather and if there are ranges out there with heated stalls, take full advantage of them. 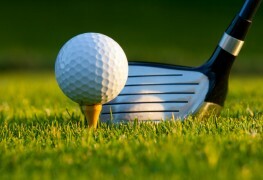 Some summer golf clubs even offer special memberships at select indoor driving ranges. Although you won't get the same feeling as being outside, it will still work the right muscles and hone the skills you need to return to the links in spring. 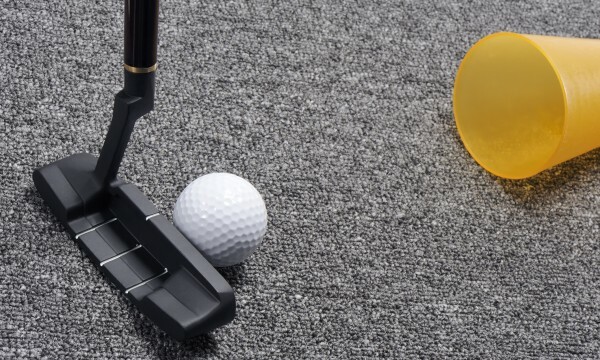 If going outdoors to the driving range is completely out of the question and there are no nearby indoor facilities, a few visits to a simulator can keep you in top form. 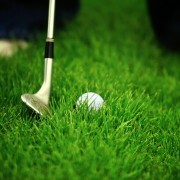 Typical home carpeting has friction that's right in line with what the green and fairway offer. This makes carpet an excellent surface on which to practice your putting and chipping. Just don't get too into your winter training and forget that you're still indoors. It's definitely not a place for practicing your drive! Don't overlook the benefits of watching golf on television. It can actually help improve your golf game when you're not on the driving range during the winter. A lot of sports channels broadcast golf games in winter almost as much as they do during the warmer months. This programming presents you with a great opportunity to improve your understanding of the mechanics of the game as you watch the pros play – you can literally learn from them. In addition, observing the pros will help you start to notice subtle techniques you've never used before, tricks that could improve the calibre of your play. Set up a full-length mirror in the garage and practice in front of it with a weighted golf club. The multiple benefits of this type of practice include increasing your strength, speeding up your swing and allowing you to view your form in the mirror. 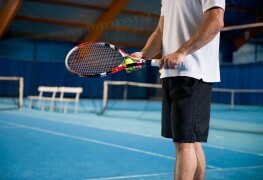 When you practice indoors, don't always swing for maximum power. Practice your swing in slow motion to ensure your form is pristine. If you have a tablet or smartphone with a camera, record your swings using the slow-motion setting now available on many devices. Them review the footage. Slow motion is a good way to observe subtle movements and see where your technique bears improvement. Just because it's winter doesn't mean you have to put your golf skills into a deep freeze. And, since you won't have to thaw them out come spring, you'll be more than ready to hit the courses when the weather warms up again.